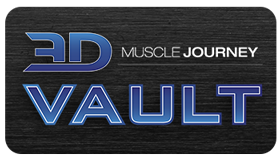 Throughout the last year, the term “recovery diet” has started to receive more and more attention throughout the bodybuilding community. Compared to the traditional reverse diet, where the primary goal and focus was to keep the athlete as lean as possible post-contest while slowly and deliberately increasing calories, the main focus of the recovery diet is just that, recovery of the athlete. Andrea, Eric and Jeff join together this week to discuss their anecdotal research and personal accounts of this post-contest nutritional strategy. What is the average amount of time it takes for an athlete to become fully psychologically recovered? 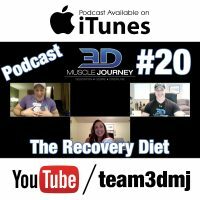 From the coach’s perspective, what have they seen in terms of success rates when comparing the recovery diet to the reverse diet? Is there any merit behind altered body-fat redistribution during the post-diet weight re-gaining phase? All of these questions plus more are addressed in today’s podcast. The group conclude this episode with a discussion on various nutritional strategies one can use during this post-competition transitional phase. This includes the use of a good, better, best approach, and the implementation of the minimal amount of structure one can put in place to prevent them from gaining too much body-fat, while still allowing them to gain some, so they can appropriately recover.